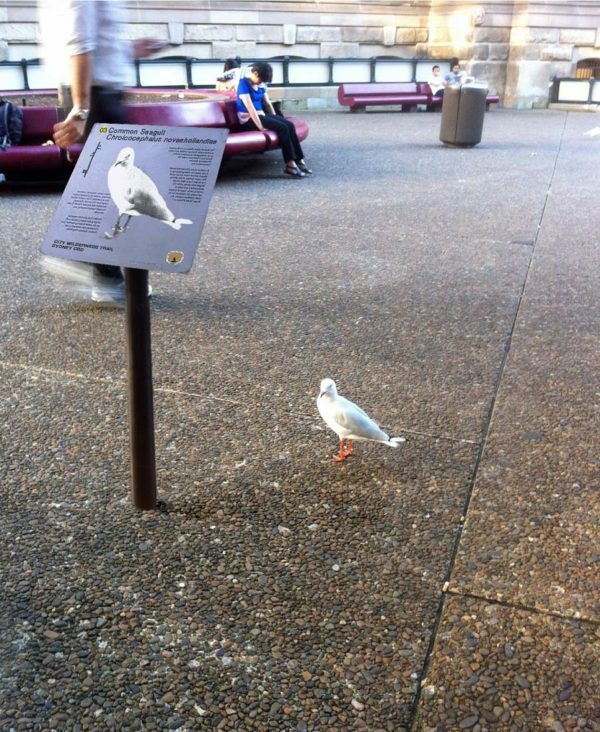 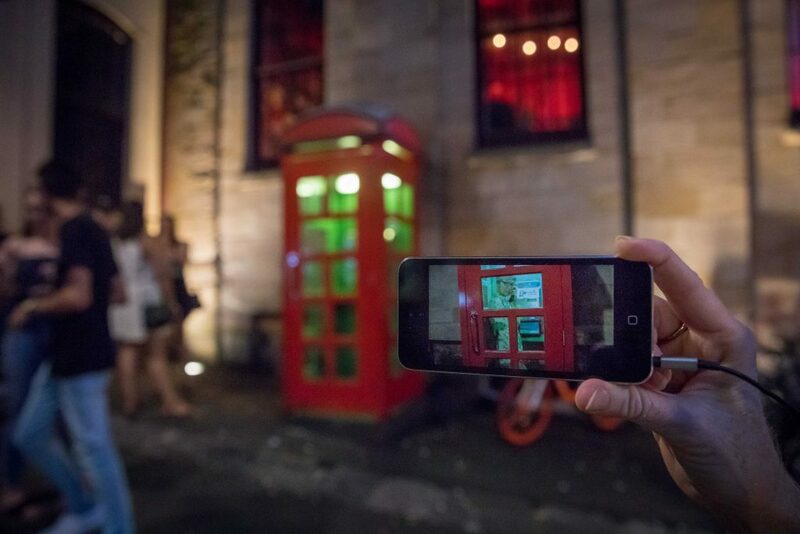 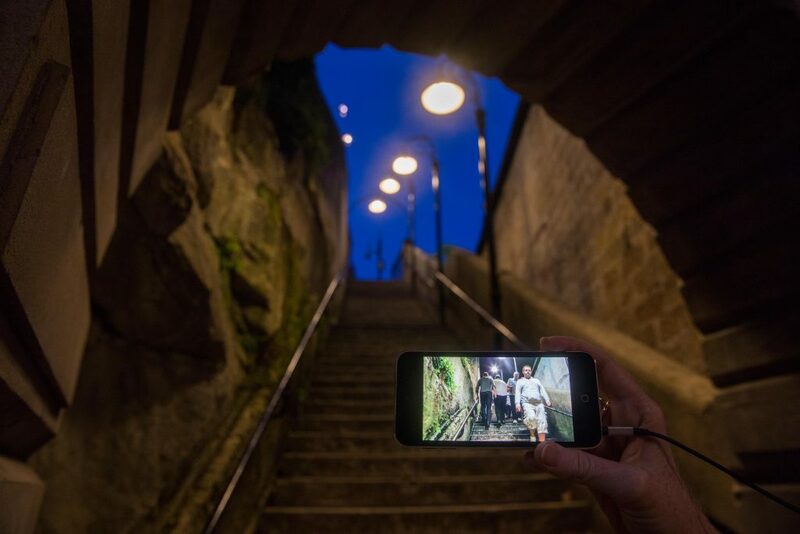 The City of Forking Paths, 2014, George Bures Miller and Janet Cardiff, Photo City of Sydney. 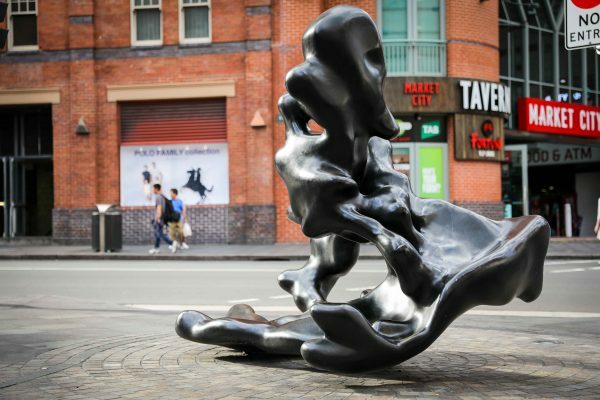 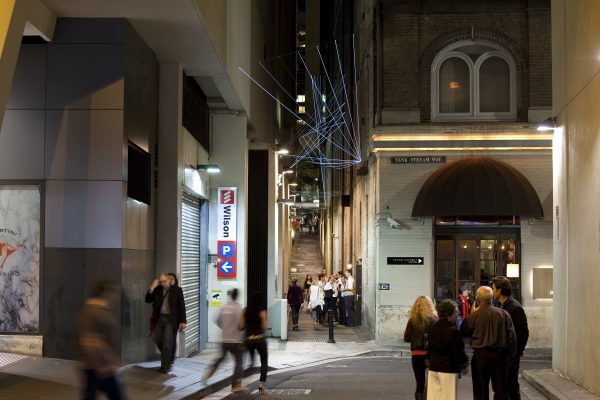 In February, March and April 2019, the City of Sydney will run a program of walks for the City of Forking Paths artwork. 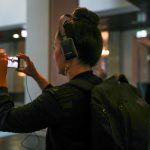 The experience is free of charge, and hand-held devices and head-phones are provided. 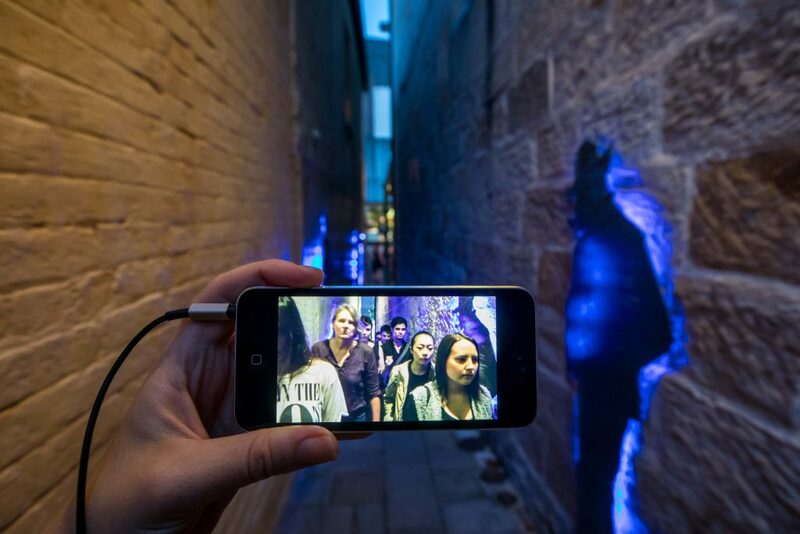 This video walk will become, I’m sure, a must-do encounter for the people of, and visitors to, Sydney. 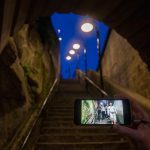 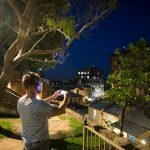 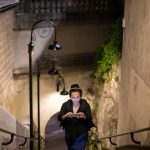 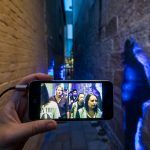 Experienced on a smart phone or mobile device, The City of Forking Paths leads people on a fictional journey through physical surrounds at dusk. 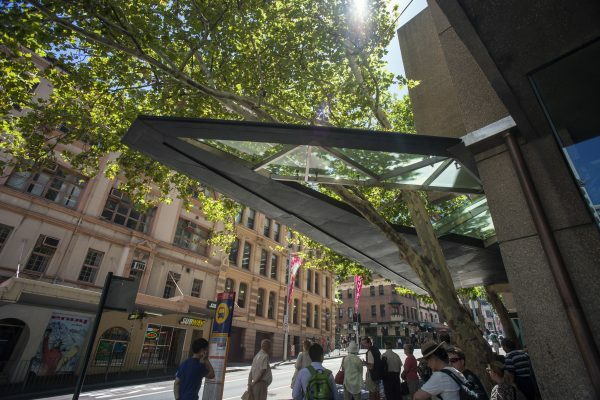 Starting at Customs House in Circular Quay, the work weaves a trail through The Rocks. 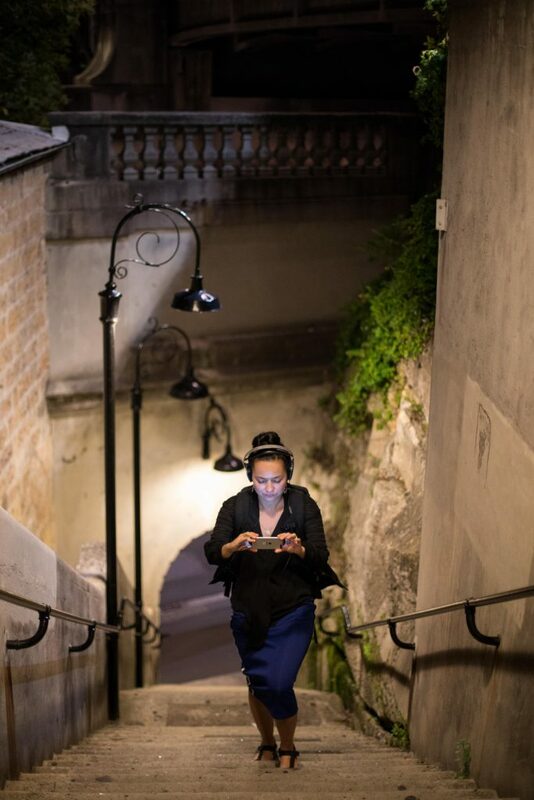 The title is an homage to Jorges Luis Borges’ story, The Garden of Forking Paths, a tale that uses the genre of a spy story to uncover questions of time and loss. 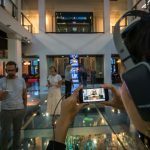 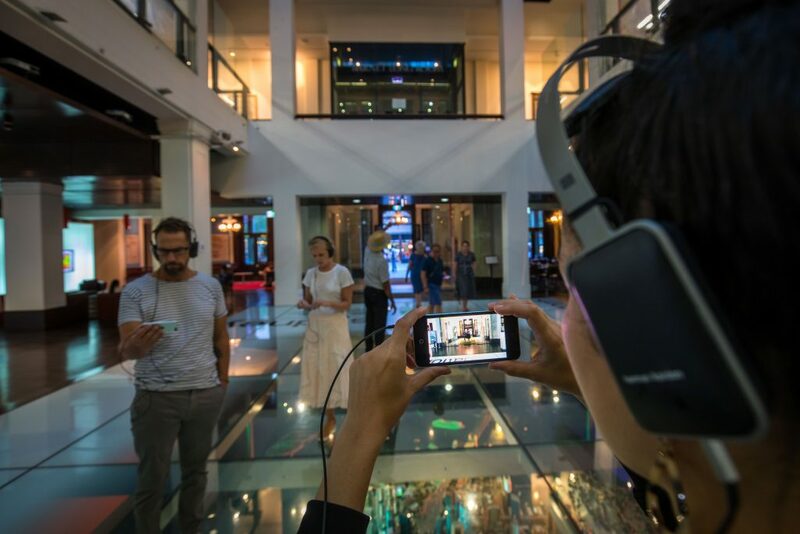 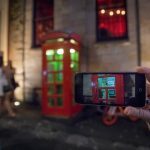 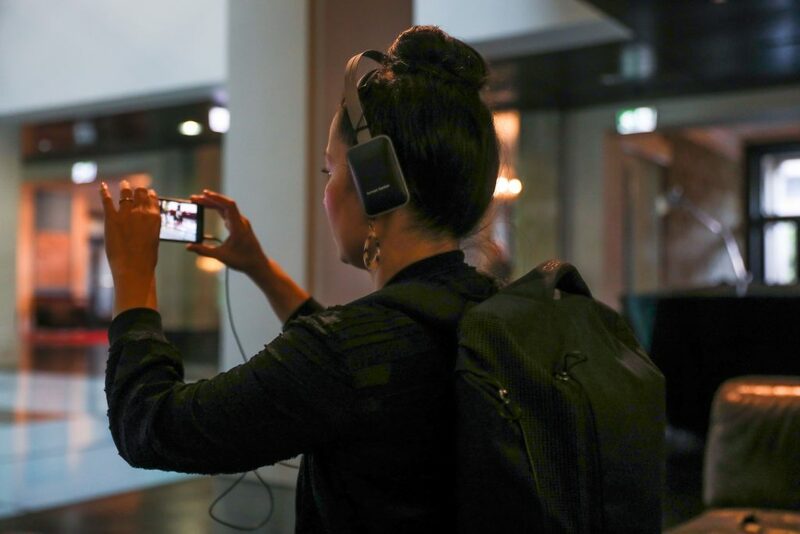 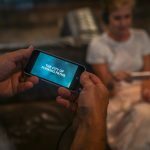 Canadian artists Janet Cardiff and George Bures Miller are internationally renowned for their distinctive and innovative body of works comprising of multimedia audio installations and site-specific walks. 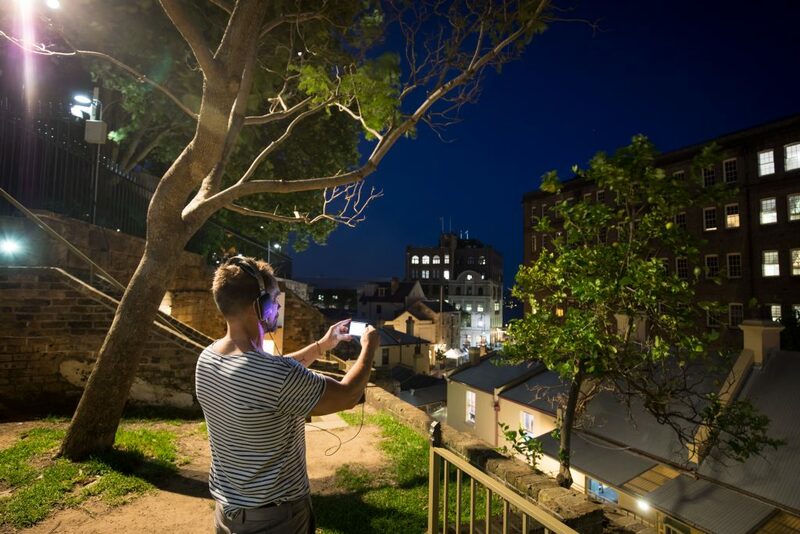 The City of Sydney has committed to commission one major artwork from each of the 2014, 2016 and 2018 Biennale of Sydney exhibitions. 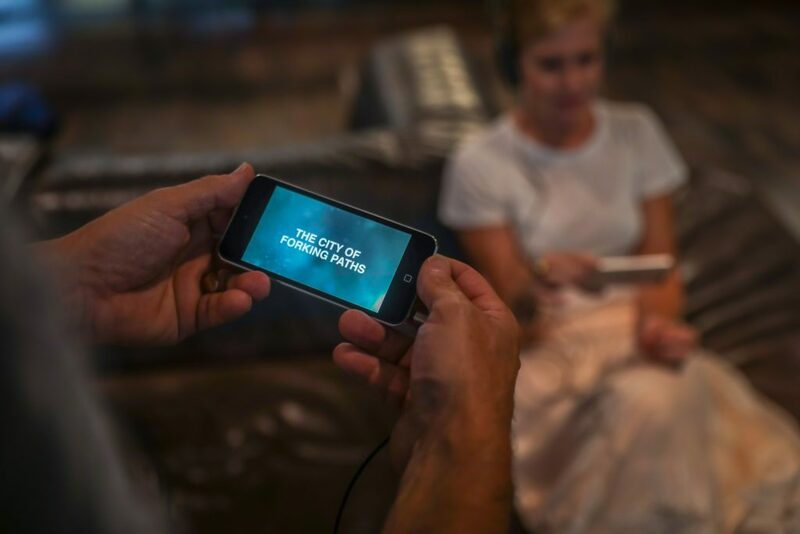 The City of Forking Paths was commissioned by the 19th Biennale of Sydney: You Imagine What You Desire, curated by Julianna Engberg. 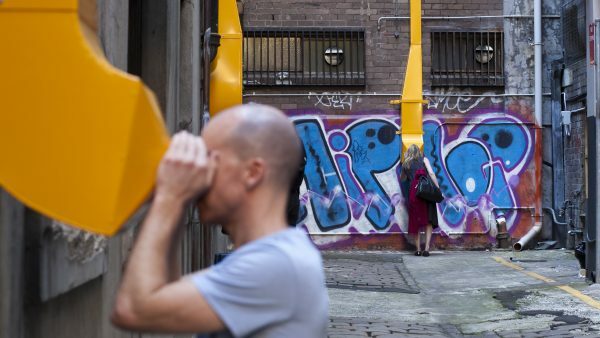 This is the first City of Sydney legacy artwork that will remain in Sydney as a permanent legacy.